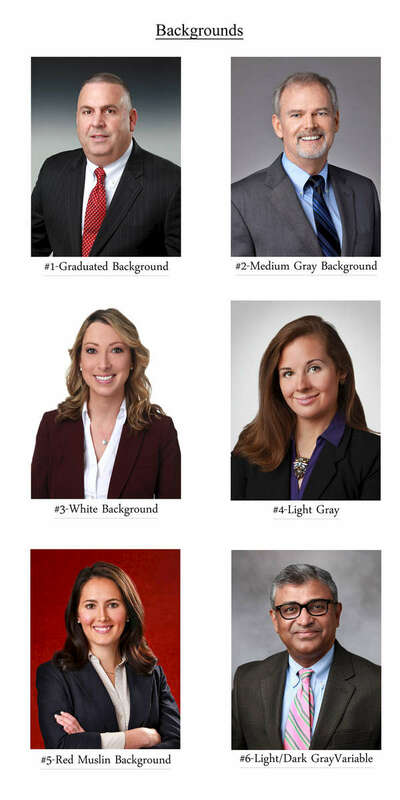 Background Selections: Head Shot Information: William Denver - Business Head Shot and Executive Portrait Photographer in Red Bank, New Jersey. We offer a variety of background choices for your Headshots Session. If you don't see the background you would like, just let us know as we have a wide variety of colors and patterns available.